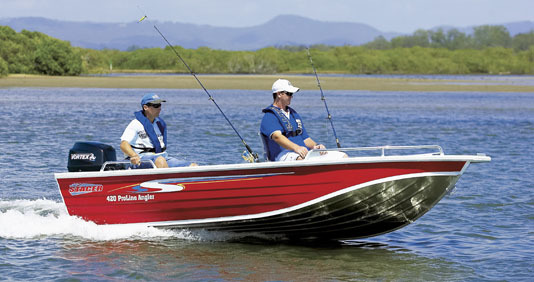 Need a special boat for fishing endeavors or a fully featured boat that could be termed as an all-rounder? A well-built boat fulfils the need for many adventures as well as business affairs. 1. Aluminium boats are tough and strong. The aluminium fibres are light and withstanding. They make these boats a much better choice in comparison of plastic or fiberglass boats and they go great in rocky terrains and difficult waters. 2. Aluminium is cheap. It is readily available in abundance and hence aluminium boats are cost-effective. It would be safe to say that they are value for money. 3. Requires very less maintenance, aluminium boats require a lot less care than any other boat. They are easy to handle and goes great in the water. 4. Building a customised boat is very easy because there is no need for a mould in aluminium. Moulds, not only adds up to the cost of the boat, but also limits the design to conventional methods. 5. When it comes to reparability, aluminium boats wins with flying colours. The repairs are an extremely easy process, can be done by any aluminium welder or a small dent here and there can be easily hammered out. It’s hard to say no to a rugged beauty of an aluminium boat that goes easy on the pockets as well as goes swiftly into the waters.